1. Folding pedal designed, driver can stand up the pedal or walk behind to operate machine. 2. Clear instrument panel sign, operating conveniently. 3. Joystick handle optional, operating more comfortable. 4. International warranty engine, enjoy local 3 years free engine maintenance. 5. HY380 mini skid steer loader is a easier maintenance machinery,upper cover and back guard plate can be easily opened and dismounted ,you also can easily discharge the wasted egine oil outside the body, replace the spare parts easily ,like filte,engine oil, oi filter, spark plug and so on. 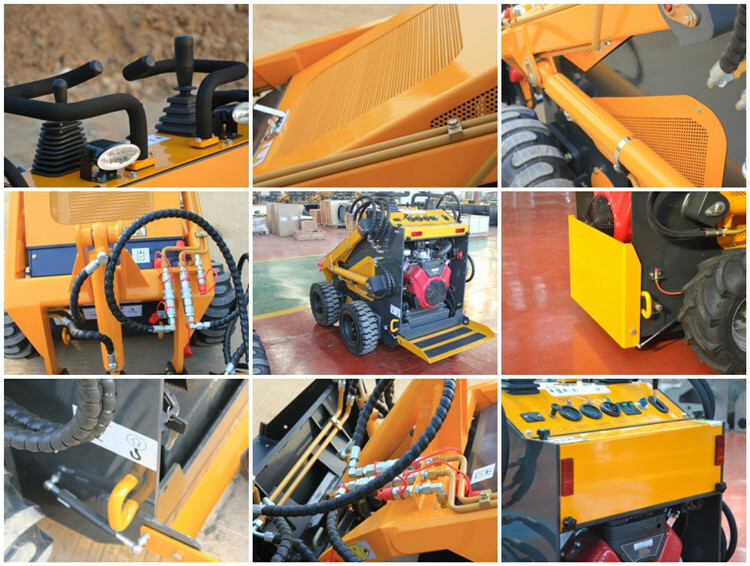 It can change different attachments at job site, change just needs a few of minutes , to adapt to different working environment and job contents In this way, shoveling, stacking, lifting, digging, drilling, crushing, grasping, pushing, loosening soil, trenching, road cleaning can be respectively carried out. An auxiliary trailer can load all attachments to job site, do whatever you want to do. 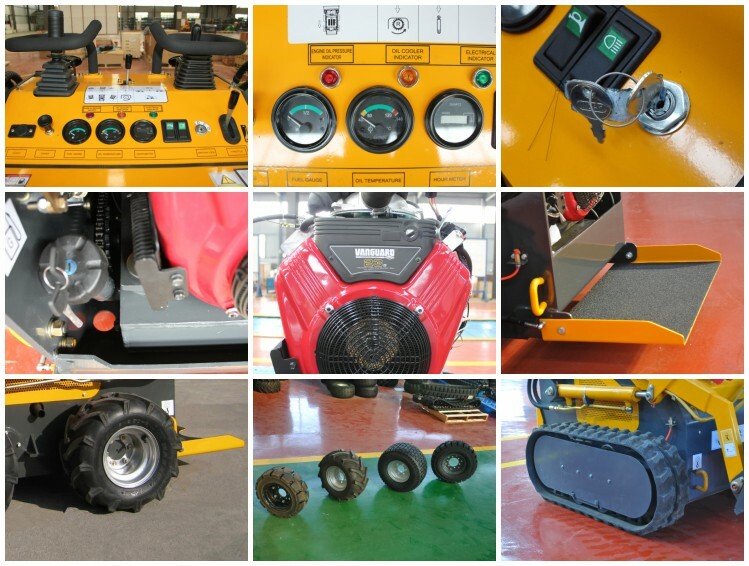 It can be used for site clearing and project closing after large engineering machinery. The 4 in 1 bucket would better choice of attachment for this job, which is with pushing, shoveling,leveling and grabbing 4 functions. HY280 mini skid steer lo..
HY380 mini skid steer lo..
A2 mini skid steer loade..
A1 mini skid steer loade.. Copyright(c)2013 hysoon.cn All rights reserved. 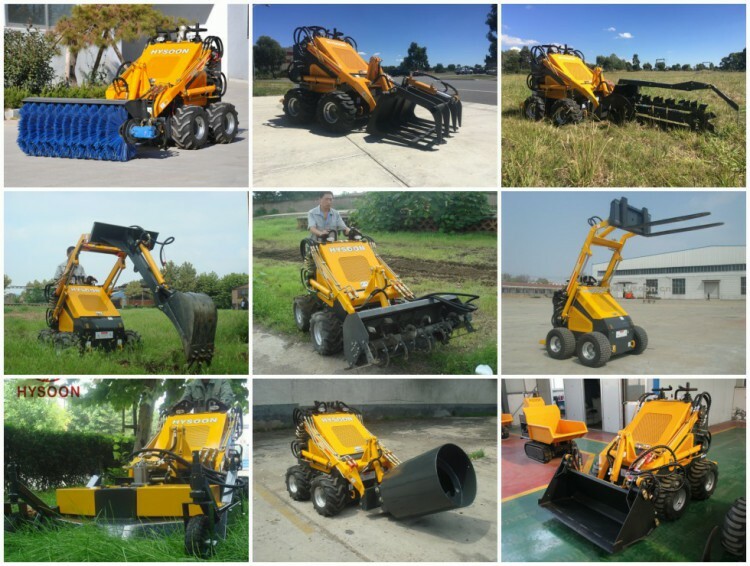 earthmover,mini skid steer loader, mini excavator, mini digger,mini wheel loader, mini dumper, skid steer loader attachments.